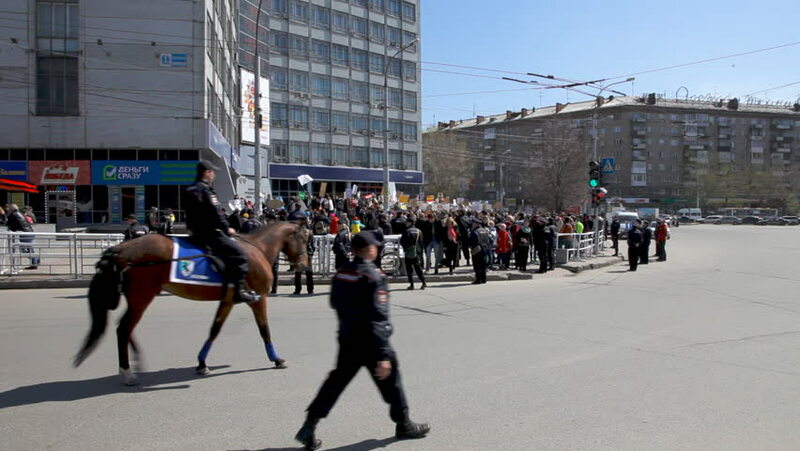 NOVOSIBIRSK, RUSSIA, MAY 1, 2015: Police on horses in May Day demonstration. 4k00:16Katowice, Poland - December 08, 2018: The policemen secure the area during a protest against climate change at the COP24. Shot from the hand, 4K.